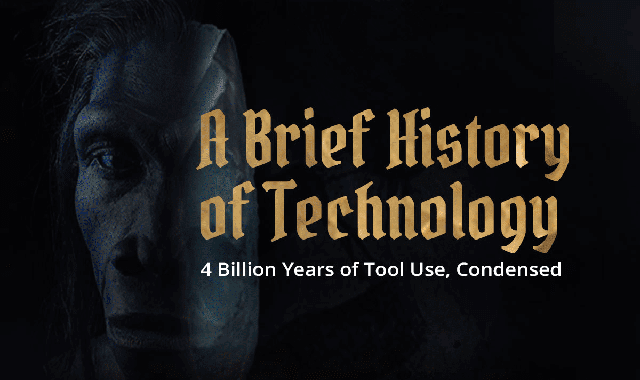 A Brief History Of Technology #Infographic ~ Visualistan '+g+"
We humans like to think of ourselves as master tool builders and certainly, as we stand at the threshold of the wonders of the 21st Century, we have much to be proud of. But we're really the heritors of a long tradition of life, in all its forms, fashioning tools from lifeless materials born long ago in the hearts of massive stars. So here's a brief history of technology, from 4 billion years ago to the beginnings of the modern age.